When asked to do an interview, Craig Burrow was hesitant. He is not the kind of person who seeks out the spotlight and he is not “much of a talker.” Craig’s humility, combined with his work ethic, contributes to his amazing volunteer skills. 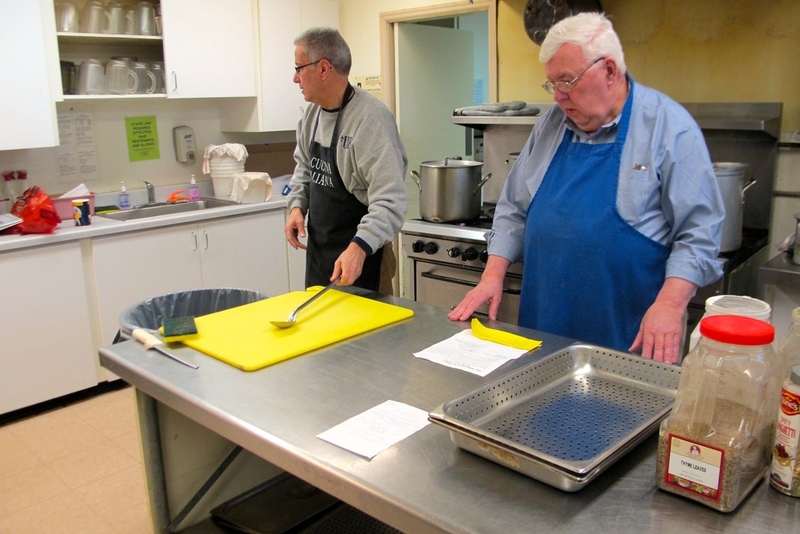 Every Monday through Friday at the Gathering’s breakfast program, Craig can be seen cooking, chatting, laughing and washing dishes in the kitchen. 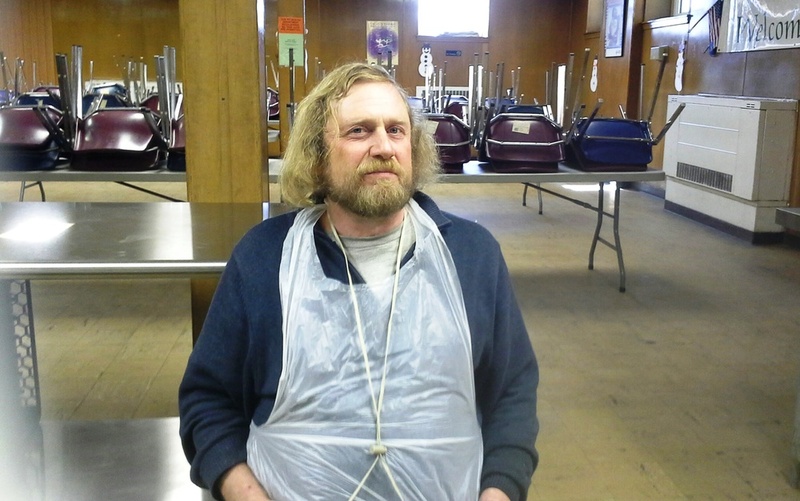 Craig has dealt with homelessness before, but is currently sharing an apartment with a friend. His friend pays a reduced rent and Craig prepares all of their meals as his share of the rent. Since his roommate is not a good cook, the skills Craig cultivated at the Gathering really pay off. Through connections at the Gathering, Craig has also been able to secure some employment opportunities. He hopes to gain full time work and find his own place. Craig’s calm spirit, get-the-job-done-attitude, smile, and commitment makes the Gathering’s breakfast program a little better. We hope the connections made can pay him back for all he does for others. "I'm blessed with what I've got now. I thank God everyday. I mean when you're out there and then this! I feel like I’m living a movie star life – I’ve got heat, I’ve got a TV - I watched the Packers yesterday. I have food in my fridge. Everything I would want. You're real grateful, am I right?" Imagine yourself without a home for 20 days. You’ve exhausted your options of staying with family and friends and now you are living on the street. I’ve tried to imagine this and I can’t. I don’t understand the challenges I would face. It’s easy to think about Milwaukee’s many blustery below freezing winter nights, but somehow finding a blanket doesn’t seem like enough. 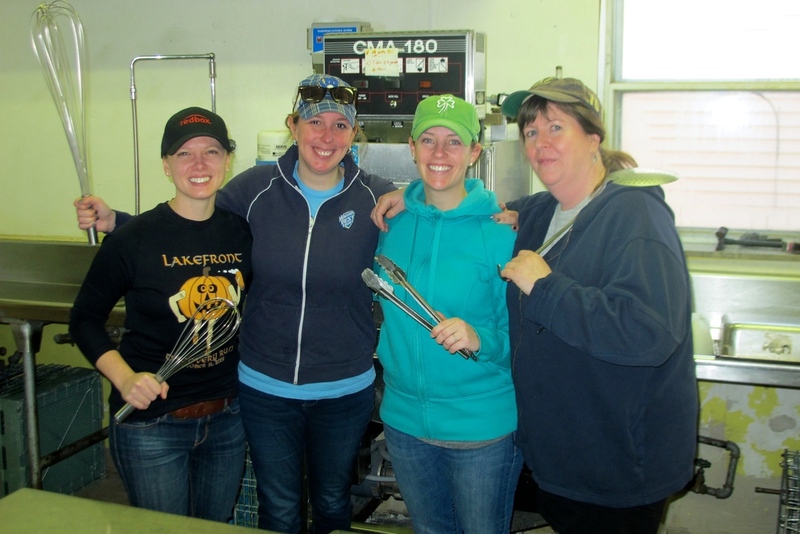 When I spoke with Cary Gibson, the cook for the Gathering’s breakfast meal program, I started to understand. He lived on the street not for 20 days, but for 20 years. Cary said that in order to help keep warm, he would hide 3 blankets. The first one would inevitably be stolen while he was trying to sleep and then he would go to the hiding places of the others, hoping that at least one of them would still be there. He counted himself lucky if the thief only took his possessions. He has been attacked while trying to sleep many times… usually by another person coping with a situation similar to his; other times the attackers were four-legged threats. By the railroad tracks, there are skunks to avoid. Elsewhere, you have to listen for and steer clear of coyotes. The hardest to deal with are the raccoons and other rodents. They are smart and some have rabies. They’ll climb all over you, especially if they smell food. Then, there are the domesticated varieties. People used to let loose their pit bulls along the river where Cary had been staying; he climbed into a thicket of thorns (where even the pit bulls wouldn’t go) to avoid them. With all this, a good night’s sleep isn’t an option. Then there is the challenge of hygiene. How can you bathe, shave, or brush your teeth? Cary said he had to wash different parts of his body each place he went - taking pigeon baths, he called it. Cary had a hard life growing up, but he made the best of it. He tried to hold his family together by cooking, cleaning, and raising his younger siblings, but when he turned 17, he set out on his own. Although he struggled with alcoholism, he had a job and a place of his own for 14 years. That life ended when a bout of pneumonia put him in the hospital and he lost his job and eventually his home. Living on the street, Cary really valued the big hot meal that the Gathering served in the mornings. He burned a lot of calories living outside. By the time he got there, he’d already walked 5 miles. He ate breakfasts at the Gathering for about 8 years and then he started volunteering. During that time, Cary also went into transitional housing and stopped drinking alcohol. There’s a certain feeling you get when you accomplish a goal like working – doing something positive, that’s what The Gathering is to me... The Gathering helps people in so many ways. Cary has been in his own home for almost a year and now that he is back on his feet, he’s excited about the new road ahead of him. “The Gathering is just one of many steps I hope to take on my road to success.” He saved up two months rent to get ahead of schedule and he is excited to be paying rent and preparing taxes again! There’s another thing about Cary that left me speechless. Imagine you were homeless for 20 years and after you finally got back in housing, you got a part-time job and you’ve been getting a paycheck for about 2 months. What would you do with this little extra money you have now? Get yourself something? Go to the casino? Cary started sponsoring a little girl in Indonesia. He’s been sponsoring her now for 10 months because he feels that there are a lot of people out there who need help.